Mum of Five Staying Sane: NEW BUGABOO + ANDY WARHOL COLLABORATION HOODS & MATCHING TOTE BAGS FOR ALL BUGABOO PRAMS. FEATURING MARILYN, TRANSPORTATION, BUTTERFLIES & THE SUCCESSFUL BANANA PRINT. 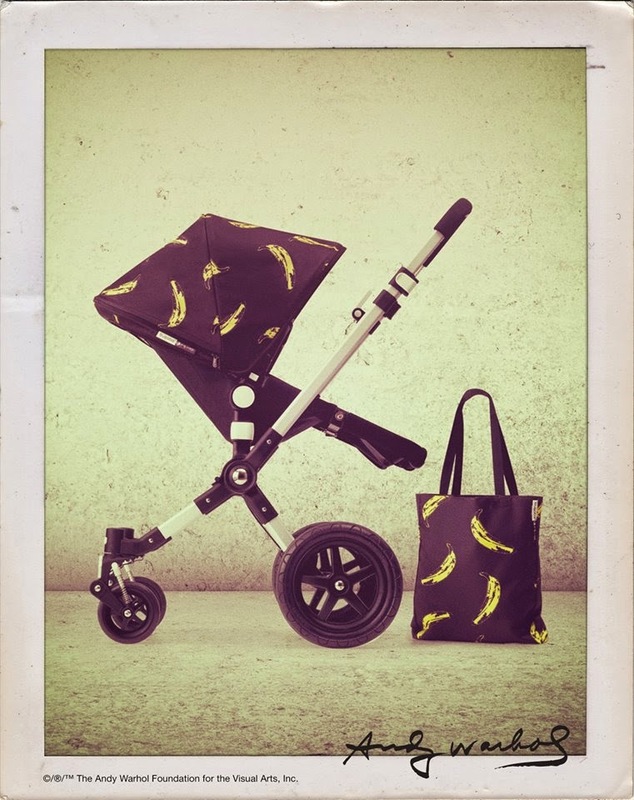 NEW BUGABOO + ANDY WARHOL COLLABORATION HOODS & MATCHING TOTE BAGS FOR ALL BUGABOO PRAMS. FEATURING MARILYN, TRANSPORTATION, BUTTERFLIES & THE SUCCESSFUL BANANA PRINT. The new Andy Warhol hoods have arrived. 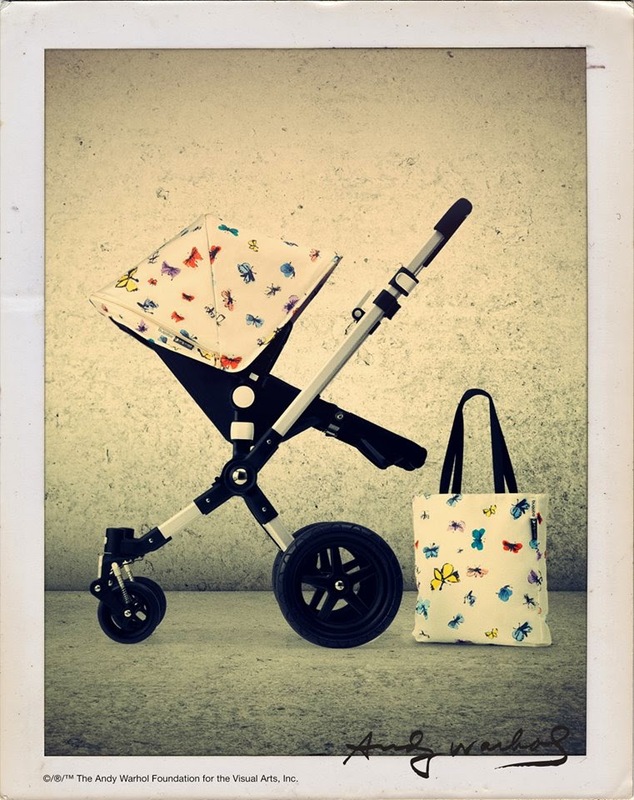 The Bugaboo + Andy Warhol collaboration has been in the making for two years and they are now finally unveiled. Andy Warhol banana and butterfly prints. They will be available across the four current Bugaboo models Bugaboo Bee, Cameleon, Donkey and Buffalo. 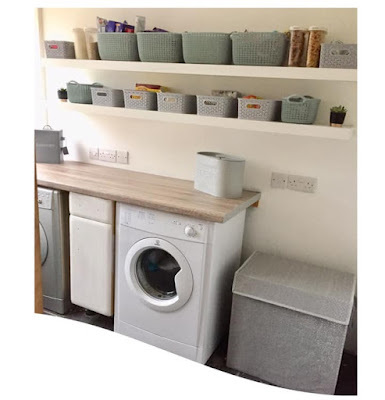 Matching hood and tote bags available in four patterns. Andy Warhol Marilyn and Transportation prints. In our fourth and final collaboration with the Andy Warhol Foundation, Bugaboo introduces the Retrospective Collection - featuring a sun canopy and matching tote bag - paying homage to the legendary artist. We’ve taken Warhol’s Butterflies, Transportation and Marilyn Monroe images as a starting point for our latest Warhol-inspired designs and reversed our successful Banana print. The Collection offers you unparalleled flexibility in your stroller design: You choose your image and the color lining; the tote bag matches your selected print. And because the sun canopy fits all Bugaboo strollers, those already owning one can use the Retrospective collection to add a little pizzazz. 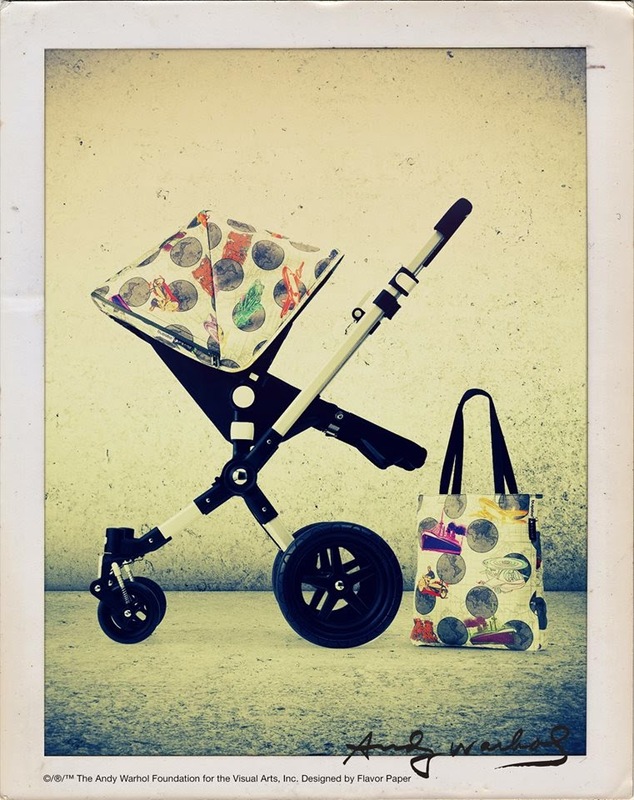 The Andy Warhol + Bugaboo Retrospective Collection is available from November 2014 at selected retailers. Each retailer will have a select number of prints. All prints are available from December 2014 on Bugaboo.com to order. The RRP on the hood and tote bag sets are £115, USD $169, AUS $209 and EU 129.90.